Social and emotional learning is a vital element of student development with clear research showing the positive impact on academic results. However, with all the curriculum content teachers need to cover, many teachers are asking how they can possibly add social and emotional learning to their load. ONE: Use cooperative learning strategies to help students learn to get along with each other, work together toward a common goal and respect others’ opinions. TWO: Give students responsibility for their classroom environment, for taking care of a class pet or for preparing for an activity. THREE: Play games that teach social and emotional skills like sharing, taking turns, being a good loser/winner, how to manage disappointment and how to be a good teammate. FOUR: Conduct class meetings where students air their concerns and work to develop solutions to class problems. FIVE: Provide choice in academic tasks so they learn how to make decisions and understand the consequences of their decisions. SIX: Include students in decision making about the running of the class. Discuss issues such as keeping the classroom tidy, how to make the classroom operate more smoothly, get feedback from students about how they enjoy your lessons and how effective they are. SEVEN: Reinforce students by giving them specific feedback about social and emotional skills they are using effectively. EIGHT: When discussing stories and biographies refer to the characters’ behaviour in relation to social and emotional skills. 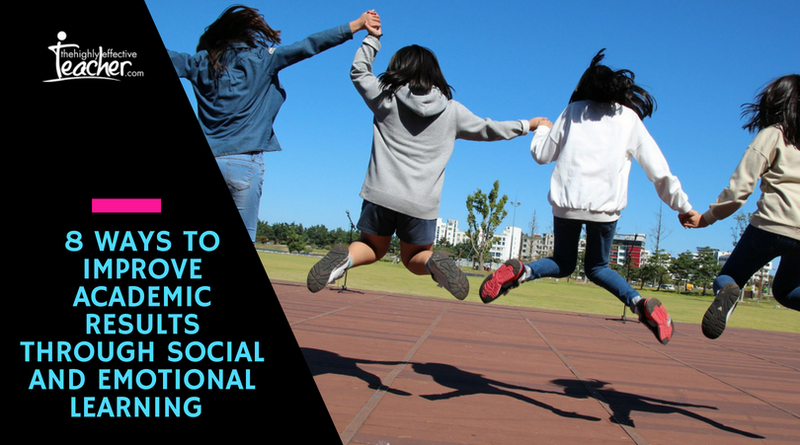 Social and emotional learning is not just another subject schools must teach; it is an essential ingredient in the development of citizens prepared to face the challenges of the 21st Century. 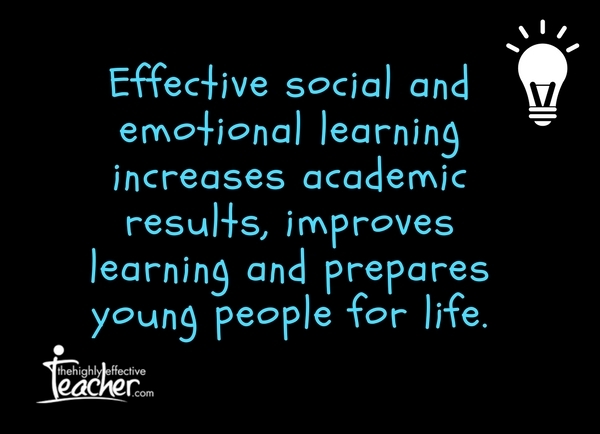 Effective social and emotional learning increases academic results, improves learning and prepares young people for life. 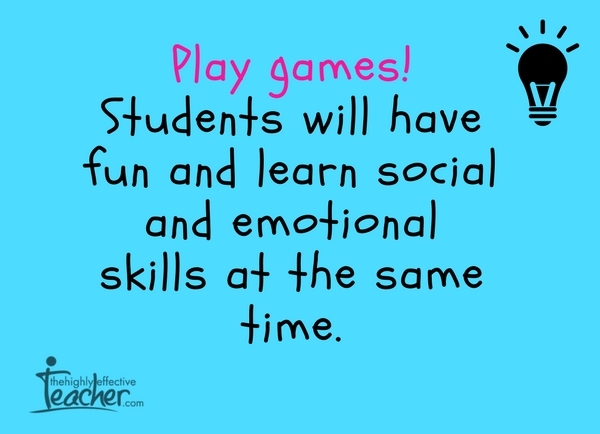 What are some ways you use social and emotional learning in your classroom?